What makes massage therapy an integral aspect of physical therapy? Who doesn't like a session of massage? 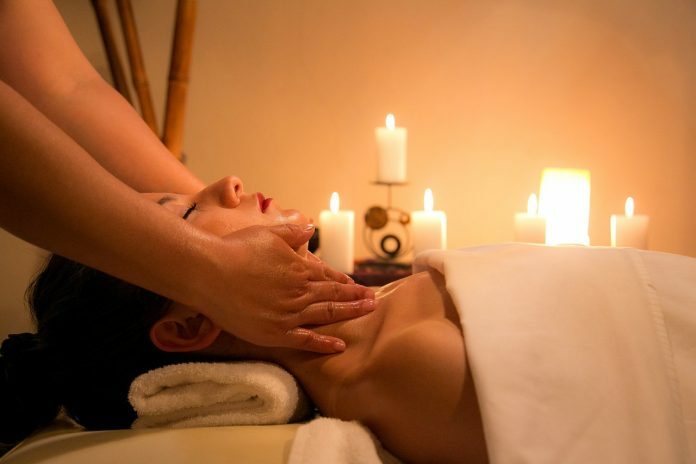 Massaging is an instant method to relieve stress, muscular tension and pain. along with several other mental and physical health benefits. Let's look at some of the benefits of massage therapy. Physical therapy is the best way to heal muscle, tendon, ligament, nerve, joint, and bone injuries. It is a treatment approach that’s largely used by physical therapists to manage the pain caused by musculoskeletal injuries and illnesses. Patients across the globe rely exclusively on physical therapy to alleviate their pain, improve mobility and speed up the healing process. Physical therapists use non-invasive procedures to curb the pain that stems from injuries and illnesses. And, since they use non-invasive pain relief techniques to accelerate the healing process, patients do not face any sort of side effects. The truth is is physical therapy is incomplete without the benefits of massage therapy. Massage therapy is a highly imperative part of physical therapy because it plays an enormously crucial role in the swift recovery of patients. According to Athletix Rehab & Recovery, “Massage Therapy has many positive effects on the body such as relaxation, stress relief, improved circulation, improved mobility, decreased body aches, improved posture and much more!” So, no matter what kind of pain you are dealing with massage therapy sessions are always helpful. Here are the reasons why physical therapists include massage therapy in your treatment plan. Massage therapy is very helpful for relieving muscle tension that is largely caused by stress and anxiety. Muscle tension is nothing but a condition during which the muscles of your body remain contracted for a significant of time and if left untreated it can lead to conditions like tension headaches. However, if you go for a massage therapy you can see tremendous improvement in your condition. When patients suffering from tension headaches approach physical therapists to treat their problem, they first try to figure out the root cause of their problem and then design a treatment plan. So, if muscle tension is the primary cause of their problem, then physical therapists will use include massage therapy in the treatment plan. Whether you are suffering from a sports injury or struggling with pain caused by a prolonged illness your therapist will include massage therapy in your treatment plan to improve your condition quickly. It strengthens your muscles and alleviates muscular pain. Physical therapists include massage therapy in the treatment plan of the patients suffering from back pain, neck pain, shoulder ache and hip and knee pain. Massage therapy offers enormous relaxation, so if you live a hectic life which causes a lot of stress and anxiety, then you must take the advantages of massage therapy. When your body is tensed it releases a hormone called cortisol, which enhances your stress level like anything. When the level of cortisol increases in your body it leads to problems like sleeplessness and weight gain. However, if you take the support of massage therapy you can easily control the level of cortisol in your body and get rid of the problems caused by it. Massage is not only important for relieving pain and offering relaxation but it’s equally important for boosting your energy levels. Yes, regular massage sessions can bring a world of difference in your energy levels. You feel more fresh and energetic after a massage session, which eventually proves to be very helpful in enhancing your concentration. In today’s world wherein you constantly face tough competition that leads to a lot of stress and anxiety, massage can make you feel really good. Improved circulation is one of the most important benefits of massage. It helps in supplying blood to the injured muscles which eventually promotes healing. So, whether you are suffering from a foot and ankle injury or back pain, massage therapy is immensely important for your recovery. It speeds up your recovery process and makes it easier for you to return to your normal activities soon. Massage therapy is tremendously crucial for those struggling with blood pressure issues. Whether you are suffering from high blood pressure or low blood pressure, regular massage therapy sessions can improve your condition like anything. It is considered great for both systolic and diastolic blood pressure. Poor posture leads to several problems so it’s crucial to improve it. Sometimes the pain that you get in your neck and back could be the result of poor posture, therefore you must address your problem accordingly. Prolonged sitting is one of the major causes of poor posture, so it’s crucial to change your position frequently. Massage therapy offered by skilled physical therapists can easily improve your posture. They improve your knowledge about different sitting positions and their impact on your health. So, if you have poor physical fitness and you are living with pain and discomfort, approach a physical therapist for improving your overall well-being. They will use advanced techniques to heal your problem and restore function. The dedicated team at Zigverve that aims at bringing you the best lifestyle updates from all over the world. Don’t Play With Your Back! Home Extensions – where to start? What all you should know about Diamond Rings before getting engaged?